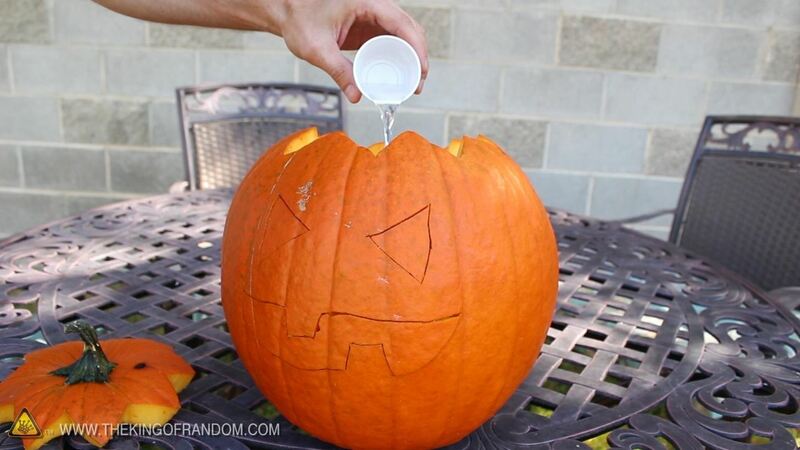 Carving pumpkins into creepy looking jack-o'-lanterns for Halloween can actually become fairly boring and tedious if you're doing the same thing year after year. 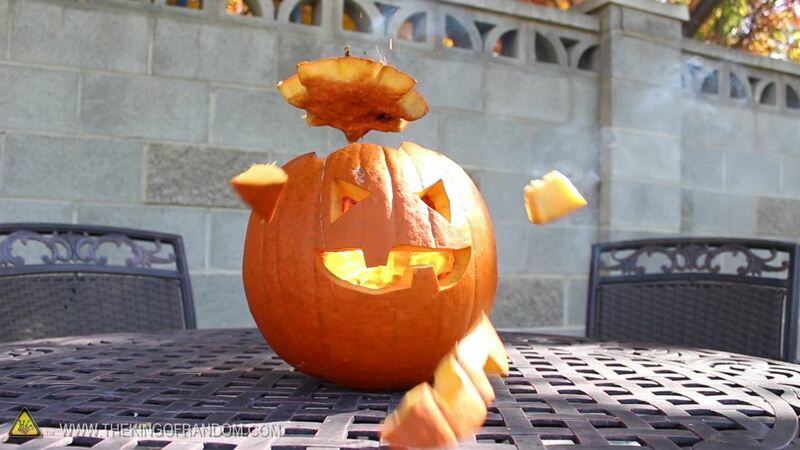 This time, jump into a whole new realm of Halloween fun with some exploding pumpkin faces! 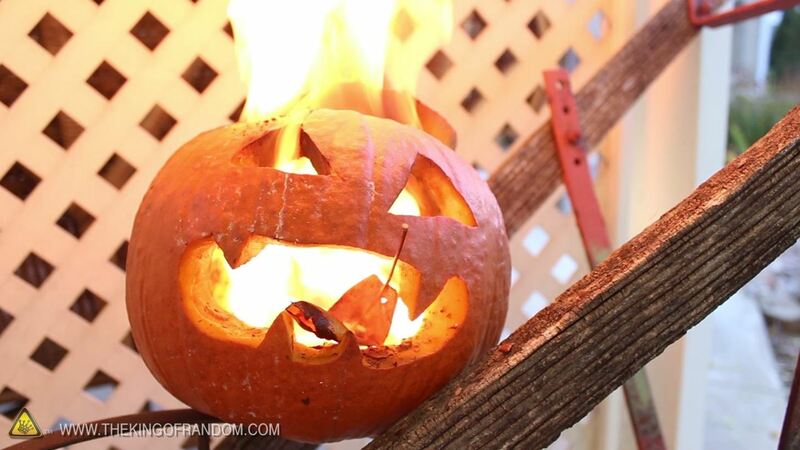 I like to call them blast-o'-lanterns, but can call them whatever you want. 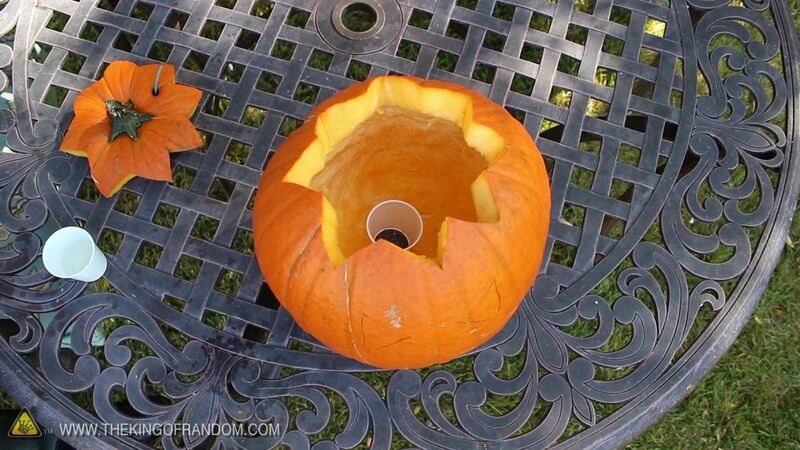 This project was inspired by Steve Spangler's own exploding pumpkins, which you can view here and here. This project is for demonstrational, educational, and entertainment purposes only. It is not intended to be duplicated. 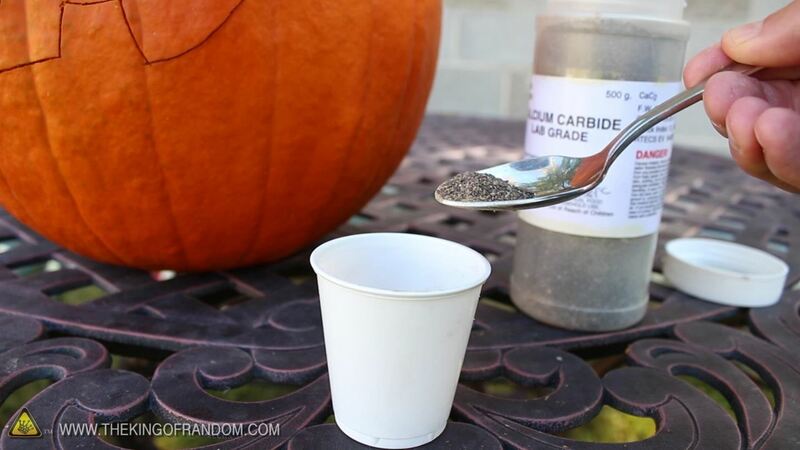 CaC2 mixed with water produces acetylene gas which, when mixed with oxygen, creates an extremely flammable gas. Use of video content is at own risk. 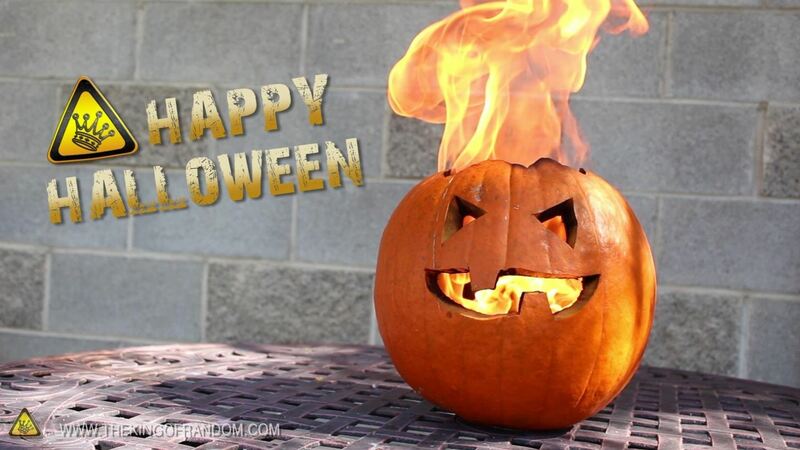 A very flammable gas (acetylene) is produced inside a pre-carved pumpkin shell. 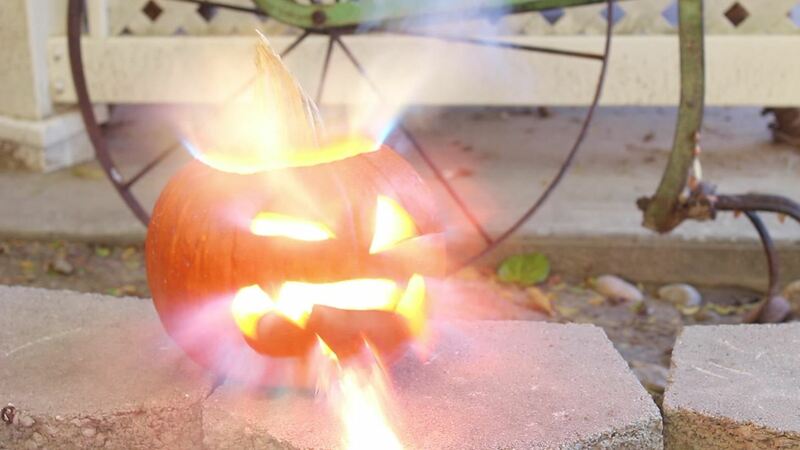 When the gas is ignited, the pressure inside builds rapidly, forcing the carved pieces to blast out dramatically. I chose to ignite the gas with a pice of visco fuse. 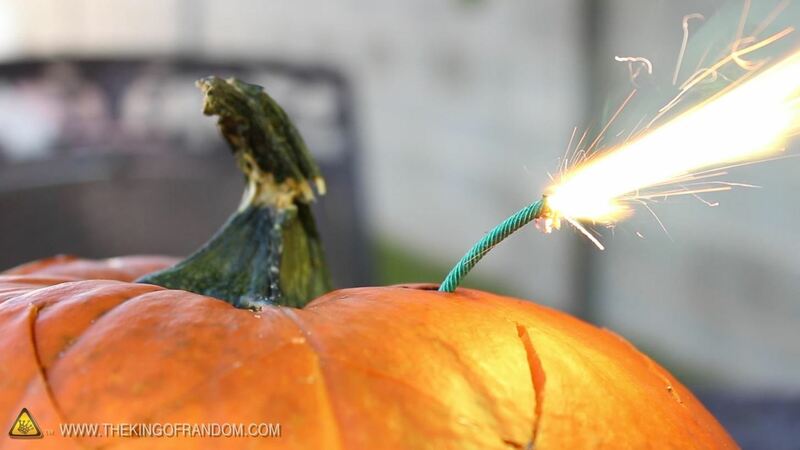 I found it actually ignites most consistently with a hole just small enough to poke the fuse through, and works better at the back of the pumpkin. I only placed it at the top here so it would be visible. In reality, placing the fuse near the opening at the top leads to pre-mature ignition more often than not, and isn't recommended.